2018 was an incredible year for NWTC. It was made even more amazing by our New World family, who were busy giving back to their communities, supporting multiple local and National charities and taking part in 'fun'draising events throughout the year. The opportunity to give back is something New World members from across all 24 sites are incredibly proud of and hugely supportive about. So much so, they have raised huge amounts of money and donations for charities all around the UK. We raised a breathtaking total of £37,972 in December for local children’s charities (chosen by sites) and national charities we support, including; Barnardo’s, The Tim Bacon Foundation and Foodinate. Read more about our parnter charities here. Throughout the Christmas period, guests had the choice of adding £1 to their bill which was automatically donated, in full, to the sites chosen charities. On top of this, 25p from every children’s meal sold went towards these charities and more, including Alder Hey Children’s Hospital and Friends of Hadrian School. With the help of our wonderful staff in promoting this fundraiser, and to our generous guests who supported us, a whopping £10,097 was raised from kids’ meals alone! This means that through our staff’s determination and passion £27,875 was raised in December - which we think is pretty special! We couldn’t do a thank you blog, without doing a proud shout out to the following New World members (and hero’s) who have gone above and beyond for these charities and more. These fantastic individuals all independently raised over £1000 for their sites chosen local charities and our national charities such as The Tim Bacon Foundation and Barnardo’s. Alex from The Botanist Sheffield for raising an incredible £1191 for The Tim Bacon Foundation, Barnardo’s and Pact Children's Charity. 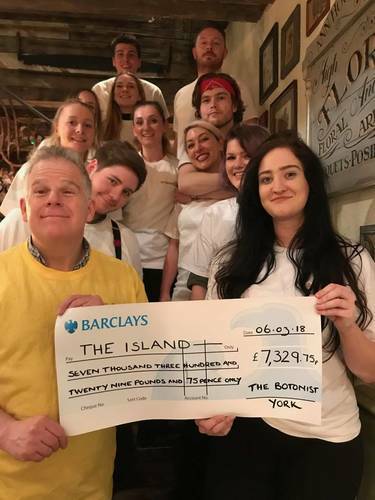 Caitlin from The Botanist York for raising a spectacular £1276 for Barnardo’s, The Island and Pact Children's Charity. Ed from The Botanist York for raising a phenomenal £2553 for The Tim Bacon Foundation Barnardo’s and The Island. Lisa from The Botanist, Knutsford for raising an impressive £1852 for the Tim Bacon Foundation, Barnardo’s and Brainwave. Grace from The Botanist Knutsford for raising a huge £1014 for the Tim Bacon Foundation, Barnardo’s and Brainwave. Brainwave, based in the North West is a charity committed to helping children with conditions or disabilities caused by brain injuries to achieve their full potential. Pact’s Children Charity in Sheffield helps families whose children are being treated for cancer or leukaemia, providing much needed trips, treats and holidays in the country. The Island, is a York based charity that sets out to better the quality of life for children and young people through mentoring relationships, so every child learns just how capable they are. Foodinate is a charity that sets out to tackle local poverty nationwide - raising over 50,000 meals for those who need them most. With so many people living in poverty in Manchester, The Oast House had to help. Since partnering with Foodinate in summer 2018, The Oast House has donated an amazing 2221 meals to the community of Manchester, with over 1200 donated throughout December alone! In 2019, this partnership with Foodinate will continue to grow as we strive to support the people within our communities living without nutritious meals. The team is very keen to build links within the local community and has selected the well-known Coventry charity, Zoe’s Place Children’s Hospice, who offer respite care to 40 families, with nurses and care assistants providing around the clock attention. Botanist bingo, quiz nights and charity cocktails are just some of the fundraising initatives the team has planned for 2019. 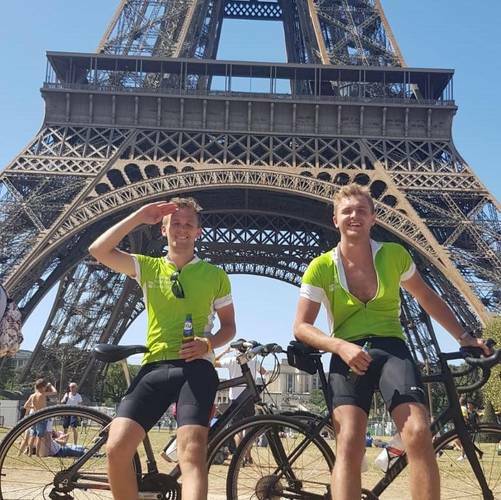 We wish them lots of luck (and fun) raising money for this amazing charity! We’ll continue to develop our ‘Grow with Us’ pledge. 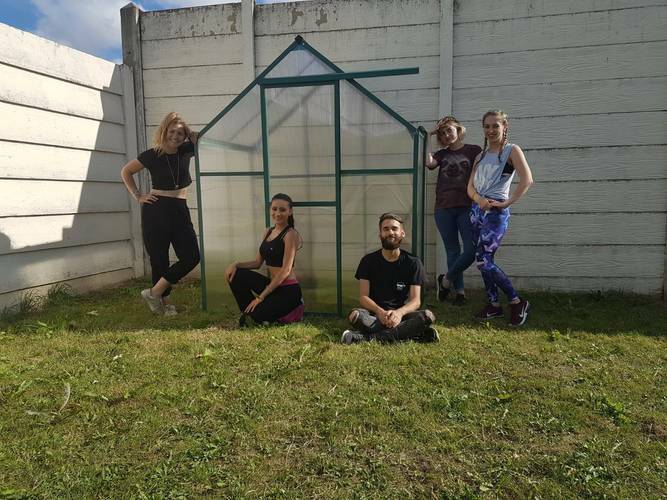 Our promise, as we grow and open venues in new communities, is to encourage growth within the local area, support projects like building of greenhouses at schools and promote health and wellbeing. The concept behind these projects is to develop positive engagement for children living with difficult life experiences, offer education around sustainability and highlight the importance of a healthy life by growing fresh food and watching new life grow - something which is inspiring in itself. The pledge has already seen five greenhouses built, and we plan to continue this momentum throughout 2019. 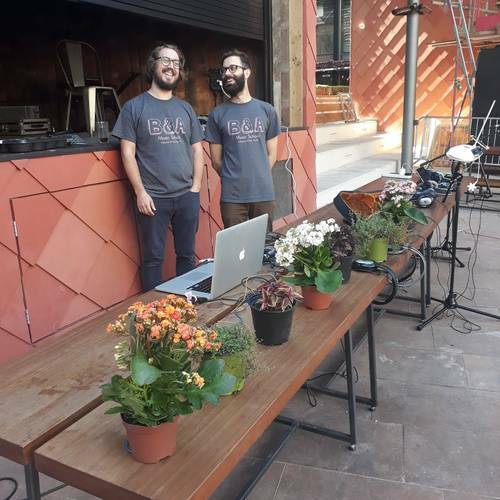 Another focus for the coming year is the continued roll out of 'NWTC Good Egg' Cat’s projects such as the ‘Autism Friendly Family Brunch’ - which saw huge success in 2018 at The Oast House and The Florist, Liverpool. Our intention is to continue these projects with our teams across estate to make a real impact in 2019. December 2018 was one of our highest money raising months and we’d like to say a big thank you to everyone who’s supported our NWTC family and all the causes they care about, our fantastic communities, local and national charities and many more! With more charity events, collaborations and fundraising fun planned for the coming year, we hope to see your continued support as we give back even more in 2019.